Every year the American Society for Microbiology (ASM) hosts Agar Art contests where talented microbiologists from around the world create intricate paintings, swapping in the canvases and paint for strains of yeast and agar plates. 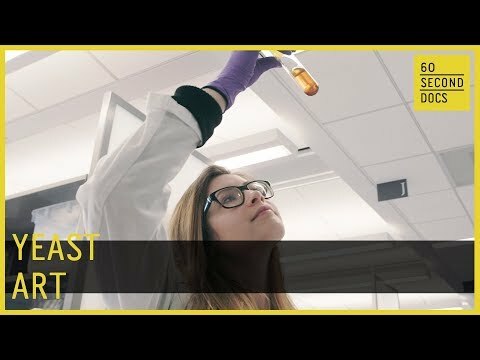 25-year-old Jasmine Temple, an assistant research technician, focuses on engineering synthetic yeast communities, design and synthesis of yeast pigments and strains, and artistic design of yeast art pieces and printing. Making yeast art from all kinds of microbes, she serves as our guide into this exquisitely unusual and unique world.